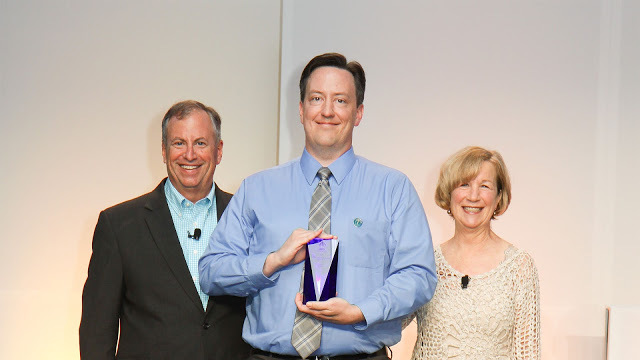 At the 2016 AIIM Conference held in New Orleans, LA, NEOSTEK’s Kevin Parker received the 2016 AIIM Leadership Award for Social Buzz. This award “recognizes individuals whose outstanding leadership within our community goes above and beyond to benefit the advancement of the information management industry and AIIM”. Kevin was one of only two recipients of this prestigious award. While at AIIM16, Kevin also presented, led a roundtable discussion, and was interviewed for the AIIM On Air Podcast. Learn about AIIM’s awards program.